This is old version VidMate 2.43 apk for Android, you can install it if you want to downgrade or install old app. It is top Media & Video apps from VidMate Studio. Using this kind of video downloader also means that you will get the very fast speed in downloading video. So, you do not need to worry if you will wait for a long time, just for waiting the result of your download. Besides the downloader, you also will get the other thing from this application. What is that? This application has a video player that can help you to play the videos that you have download before that. From the player device of this application, you can get access to play all the videos that you have and it will be categorized. This application is a free application, so it will be very helpful for you. Besides that, the other important thing to know about is that you will not be interrupted by any ads. 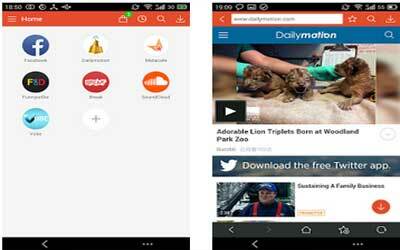 So, it will be very comfortable application to download any kinds of videos. That is all the information for you about downloader application, VidMate for Android.